Dementia is an umbrella term that is used to describe a set of symptoms that people experience when certain brain functions are affected by diseases of the brain. The most common symptom associated with dementia is memory loss, although all sorts of brain functions can be affected which can impact a person’s ability to perform everyday activities. In 2016/17, Welsh Government estimated that there were around 5000 people in Cardiff and the Vale of Glamorgan living with dementia, 63.4% of whom had had a diagnosis. It is likely that many of these people will, at some point, be in the care of Cardiff and Vale UHB so it is our responsibility to improve and enhance their care as much as possible. One way in which the heath board has been able to do this has been through the innovation of the “Read About Me” booklet, which was devised and introduced in 2017 by the UHB’s Dementia Champions. It is a person-centred tool that will ensure continuity of care for people with a dementia or cognitive impairment throughout their journey. Carers of patients living with dementia are able to fill the booklet out with key information about those in their care such as their favourite food, their hobbies and interests, things that make them anxious, and their daily routine. This way, patients can take this information with them wherever their journey takes them during their stay in hospital, allowing all staff with whom they come into contact to have an understanding of the patient, and their loved ones won’t have to keep repeating their personal story. Liz Vaughan, the Ward Sister on the University Hospital of Wales’ medicine for older people ward, C7, said, “Since their introduction last autumn, the ‘Read About Me’ booklets have made a significant contribution to the way in which staff on this ward have been able to interact with their patients. “As the general demographic of our patients is elderly and frail individuals we see a high proportion with elements of cognitive impairment and dementia, ranging from very mild and pleasant confusion to the severe and challenging behaviours. 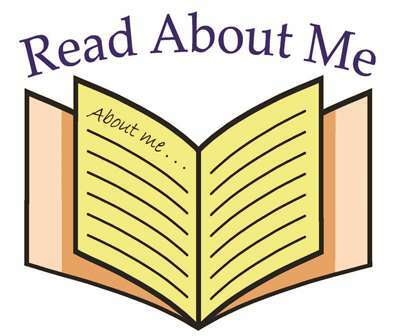 “Using the ‘Read About Me’ scheme, which is often completed on behalf of the patient by a relative or carer, the information helps us to care for patients and meet needs that they may not be able to communicate. “The history of the patient is important for us to be able to talk to patients about something they can relate to (family members, pets, and favourite holidays for instance) and can calm patients when they are distressed or distract if they are agitated. “Highlighting patients on the scheme also helps other services who can identify that a patient may need extra support, for example when phlebotomists visit the ward they use the symbol to ask staff if the patient is ok to approach for a blood sample or will a member of staff need to accompany so the patient has someone they are more familiar with to support them. Cardiff and Vale UHB is committed to being a dementia-friendly organisation, raising awareness of dementia across the organisation, reducing stigma and ensuring that people with dementia are confident that services will be respectful of their needs. In turn we hope that this will reduce the barriers of fear, lack of confidence and mobility issues that people with dementia may face. As of March 2018, 69.3% of staff in Cardiff and Vale UHB are dementia aware, many of whom are also trained dementia friends and champions. Staffs are encouraged to continue to use the ‘Read about Me’ booklet whenever someone is identified as having a cognitive impairment or dementia.